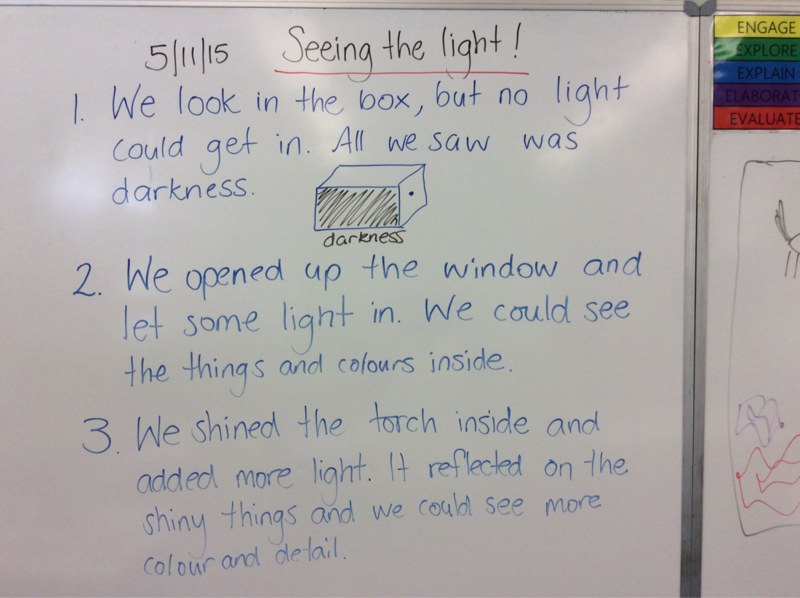 This week we did some activities to explore light and how it helps us to see. 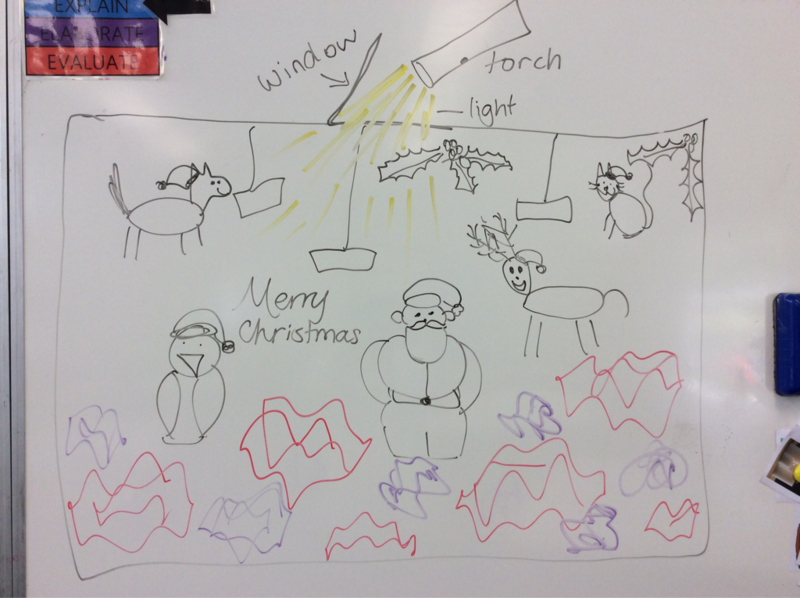 We discovered that if there is no light, then we can't see anything at all, just darkness. Mrs Marini says that darkness is just an absence of light. We thought about being in our bedrooms at night with the doors and curtains shut and no lights on. We even said that it might be a rainy night so there would be no light from the moon or stars. When there is no light in our rooms all we can see is darkness. That is why sometimes we wake up in the night and feel scared. Mrs Marini had a secret box for us to look in. No light could get in and all we could see was darkness. We opened a small window on the box and let some light in. We saw that there were Christmas decorations in the box. Then we shone a torch in the box and we could see all the details and bright colours, the light was even reflecting off some shiny surfaces. We learned that we need light to see, and without light there are no colours.